Not strictly related to this post, but your “Donate via Bitcoin” option no longer works. Coinbase says “this item is no longer available”. Yesterday I put my annual check made out to emptywheel LLC in the mail. Was able to do $320 this year, wish it could have been more. Interesting how the spooks are involved in this like they are, and how once again it blows up. CIA has a long record of failure dating back to the Bay of Pigs on managing regime changes. Whether it’s backing the wrong team or bungling the operation the tradecraft has taken a nosedive over the years even before we discuss moles. Now, do NOT construe this as saying the entire CIA is incompetent, for example Valerie Plame did her job well until outed by Cheney’s boy Scooter Libby on Darth’s orders and most of tem know their jobs. However, the incompetent Gosslings in particular are a never-ending source of embarrassment. As far as the Benghazi report goes, one topic the GOP doesn’t want to discuss is that the GOP Congress cut State’s funding and forced State to use contractors for security instead of using the Marines (it’s a job the USMC has had for a very long time) and that meant not everywhere could be covered all of the time. The question about whether State was completely briefed on the CIA op in Benghazi was also dodged. The adversaries would have figured it out, but whether HRC knew of Benghazi’s full importance is dubious. I think the GOP would want to tread carefully here because it really points back to them for being relentlessly cheap due to Clinton / Obama Derangement Syndrome setting up failures. After all McConnell said he was going to fight to destroy the administration on the very day of the inauguration in 2009. While we’re on the CIA track, I’m sure they also have a pretty good idea of what Donaldus has working with the Russians, but the question is whether CIA will spike this or leverage this (i.e. to kill Medicare and Social Security among other unpopular social engineering brought to us by Paulie Munster) for the ones pulling their strings. Briefings ought to be fun since they know what they tell Donaldus will go straight to Vlad. And, yet, Comey would only talk about HRC’s non-scandal emails. The problem with loyalists was clearly laid out during Shrub’s administration: echo chambers miss key details that lead to the wrong decisions being made. Donaldus is a less liked version of Shrub in that neither is interested in the details to the point of outright neglect. That also means no oversight, and items not of interest to the WH (like Katrina, where Condi went shoe shopping instead of getting help in that was offered) will be ignored to the point of disaster. This also is the kind of White House where dissent is not to be tolerated, which when the PRC or Vlad or Tayyip or Rodrigo Duterte throw down the gauntlet to test Donaldus (I think in this order for likelihood, and it will be within the first six months) the bad news will be covered over until the situation is beyond repair. Won’t it just be another chapter in the Republican it’s-Obama’s-fault mythology? He’s already blamed for the insanity that Iraq has become because he withdrew US troops. As for Syria, doesn’t this put Republicans in a quandary? They’ve seen Syria as an issue of superpower rivalry; what’s good for Russia must be bad for the US and vice versa. As for Obama’s allegedly cooking the intell — clearly a first in the annals of US history — can’t say I blame him. Parents lie to their kids all the time to keep them from doing something really insane. On the face of it it would seem that it was Obama’s fault. And Hillary’s. It is ironic that they involved themselves and the US government, in this sordid sponsorship of terrorist attacks on a sovereign power, in large part in order to win the approval of Republicans. There are plenty of reasons to lament the coming Trump presidency. Ending co-operation with al qaeda’s dreadful campaign of terror in Syria- a campaign which has reached almost genocidal proportions against Christians and non-Sunni muslims- is not one of them. Nor, despite the nonsense to the effect that Trump is a creature of the Kremlin, is the possibility that the administration will return to the respectability of international legality and stop making aggressive moves against Russia and China. Many of the grave problems the word faces could be solved by the United Nations if the US would only allow it to function again. Can we not rejoice that the prospects of nuclear confrontation seem somewhat diminished now? As I worked read through this post about ISIS, I thought it would conclude thus: “So Don is coming up with more ways to fault the other guy, effectively making himself look better—which is fine for Don, but which has no relevance to the issue of defeating ISIS.” But the post didn’t go there—it ended with Don allying with Putin to save the Syrian dictator—which is not at all the same as “who is to blame for ISIS”. Maybe I’m ignorant, but how is a few guns going to one group of Syrian rebels, the genesis of ISIS? Is the mess in Syria, universally acknowledged to be the one and only cause of ISIS? Thanks. For public consumption cover by these Intelligence committee members one should add the stories from Kenneth, ( Blame it on the Democrats? ) Timmerman, http://nypost.com/2014/06/08/how-the-taliban-got-their-hands-on-modern-us-missiles/ https://www.amazon.com/Dark-Forces-Truth-Happened-Benghazi/dp/0062321196 https://www.theguardian.com/world/2010/jul/25/afghanistan-taliban-missile-strike-chinook http://www.frontpagemag.com/fpm/264742/those-benghazi-stingers-kenneth-r-timmerman, Combine that with Saudi and Qatar ( 2011 especially ) donations to the Clinton foundation revealed by wikileaks. Not personally taking any of this at face value. Need to recognize what is rumbling around in the minds of the leadership. US media generally seems to have laid the birth of ISIS, Al qaeda, Taliban, 9-11 to the Wahhabi. What was the US doing selling arms to radical Sunni states who promptly forwarded them to radical Sunnis in Pakistan, Afghanistan, Syria and Iraq? At least Trump could campaign against it. Thank you for digging into this. For the last four years it has amazed me that no one seemed to be asking, “Why was our Ambassador in Benghazi in the first place?” Nor was anyone commenting on the sizeable warehouse the CIA was operating there that was between their annex and the consular building. Aerial photos released show the physical relationship of the compounds. The answers that CIA was buying weapons and the ambassador was there arranging for ships to take them to al Qaeda in Syria are topics neither Dems or Repubs have wanted to address. It seems they were both better served by repeatedly shouting talking points at each other. 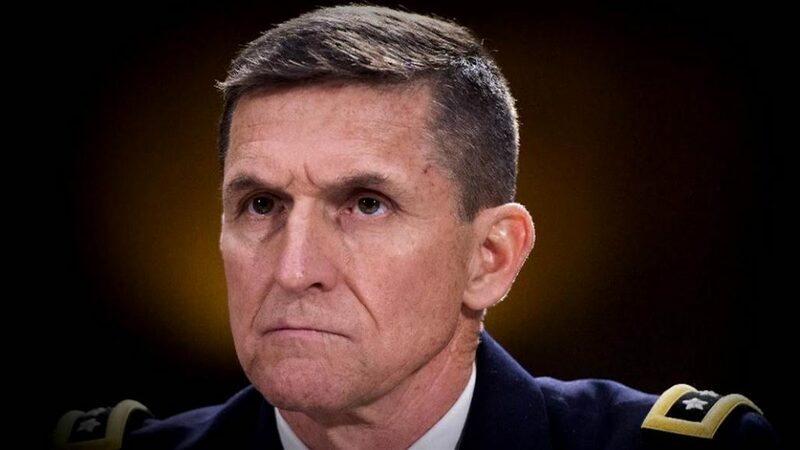 Good outcomes from Trump’s embrace of Flynn (pretty sketchy, but infinitely better than Bolton) are that we may get some answers beyond Benghazi!, Benghazi!, Benghazi! and that could help us get rational closure in Syria. Both have escaped Obama, the Dems and Repubs. Whod’a thunk it? D. Trump, truth teller and peacemaker. The factual parts of what you mention about Benghazi have been known since soon after the incident. The propaganda part you are parroting about al-Nusra receiving these arms is fictional, the Qataris have been funding Nusra and their weapons came to them through Iraq at that time. The weapons from Libya went to Turkey and were distributed by them and were distributed to groups Turkey and the US vetted, the so called moderates. Some of these weapons may have been seized or given to Nusra but there is no evidence that they were meant for them. I suppose this kind of conflation propaganda branding all opposition to the sectarian dictator Assad as al-Qaeda terrorists is useful for those who seem to relish the murder of Syrians fighting to free themselves from decades of Assad family oppression. You appear to have a chronological conflation problem, wayoutwest, as well as an obvious propaganda bias. Check for when the US began [asserting it was] vetting “so called moderates”. Then compare to when Libya fell into CIA hands and became a trans-shipping station. For a hint, need for a “moderates” differentiation did not arise until after Syria’s Russian allies began bombing “Terrorists” indiscriminately, in October, 2015, threatening the US Coalition’s overthrow of Syria effort. As far as I know, Turkey never discriminated “moderates”. Turkey, when a full Coalition partner (when oil was flowing north and “used arms” south) was supplying “off-cast” weaponry to Coalition Invasionary Forces, in Turkey, letting those forces take the weapons, or ship them, with replacement troops, into Syria, through Coalition forces controlled border-crossings. European Coalition Partners were supplying weapons to Turkey (also Invasion Force fighters), ut not to Syria, for ‘deniability’; Turkey was supplying “cast-off” weapons for the same reason, receiving newly sent weapons as replacements for its own forces, giving its ones made “surplus” to the Invader Forces, sometimes not having even time to off-board its last ‘replacement’ weapons before replacing them. By this ruse Britain, France, et al could “not supply terrorists”, but only “legitimately sell to” ally Turkey. The CIA in Libya was trans-shipping “free weapons” “liberated from”, or stolen from, Libya, who no longer needed them, no longer being a country. Assad, before the Coalition organized invasion was an elected president of a recognized legitimate nation, United Nations member state, whatever you might think, or believe, like or dislike about the way any ones in the nation that elected him, and the other representatives in the Syrian government, might have been being treated, or believed to be being treated, by yourself, Coalition members, those controlling them, or maybe even persons in Syria. Thank you, WOW needed some pushback. Funny to see him parroting USG propaganda. The schizophrenic US policy in Syria that we are supporting “moderate” terrorists while somehow opposing ISIL has been laughable since at least 2013. Kerry’s ongoing inability to separate “moderate terrorists” from al Qaeda affiliates and ISIL makes the issue clear beyond debate. We can thank the Russians for putting a fine point on it by continuing to attack terrorists of all stripes. Curious that the US is supplying and working with the terrorists, and their associates, that attacked us on 9/11. That kind of behavior used to be called treason. I’d also recommend Hersh’s book, “The killing of Osama Bin Laden”. The second half of the book details what we’ve been doing in Syria and provides more context for the Guardian article. For anyone interested in non USG/MSM propaganda views of the world, B at MoonofAlabama.org and Col. Pat Lang at turcopolier.typepad.com provide news and informed analysis. While not always right (who is?) there is never any ambiguity about their perspective, they call ’em as they see ’em. Lang has decades of middle east experience and intelligence community background. The commenters at Moon tend to the wild eyed. Lang runs a tighter operation and many of the commenters there are remarkably experienced and well informed. I suggest caution in viewing and reviewing who the ‘Trump Team’ is reported talking to, or ‘taking on their team’, to avoid being caught up in the pointless second-guessing and presumptive-assumptive prejudice-based bashing games that are flurrying around like snow-squalls (‘snowflake’ squalls? Or are those a different thing?) just now. First, the ‘Trump Team’ is a bench team, still in the locker-room, in fact, not permitted to join play until January 21, 2017. Nothing a Trump Administration may do or might do or seems to be doing, or has to be maneuvering to do means anything until they hit the field to play. Second, in investigating, and exploring the terrain and learning the lay of the land and sizing up the situation and getting a handle on things, etc., etc. the sane and sensible way to go about the business is to talk to everybody with a point of view. Especially where someone is beginning from a beginning, needing to learn the ropes, and start from a zero perspective. Thus, it can be seen as a potentially good sign, rather than a certain portent of expected disaster, when someone in Trump’s position has in everyone he can get a perspective from who may have been involved in creating a current situation. And then there is, too, that some learn from errors, and some, if freed from coercive influences that before were in control of them, might be willing, gratified, even sometimes, to fly straight for a change. There is a lot of opportunity to analyze potentials and define possibilities at present, and all the concluding and jumping to conclusions and deciding what they “must be up to” seems to be pretty much fully, if not over, covered already. Other than being “chatty,” I “suggest” extreme “caution” in giving advice. It’s a way “to avoid being caught up in” being wrong. Personnel is policy. ew’s right. You’re wrong. Leave your apology and make it brief. The decisions made today determine who shows up for work on January 17. Flynn’s consulting firm has a contract with a Turkish controlled entity. and on Nov 7th Flynn wrote an op-ed supporting extradition of Fethullah Gülen back to Turkey per Karl Rove’s fav website. http://dailycaller.com/2016/11/11/trumps-top-military-adviser-is-lobbying-for-obscure-company-with-ties-to-turkish-government/. Guess those with any hope of influencing or denying Trump have more energy than mere bystanders. A view from 2015, https://www.newsbud.com/2015/11/17/bfp-exclusive-paris-attacks-western-intelligences-vision-blinded-by-allah/ Is the deep state that backed Gülen since the Clinton administration throwing him under the bus to support the Erdogan dictatorship or is Flynn just another cowboy looking for a quick buck? The Libyan guns were only a small part of the materiel supplied to ISIS and al qaeda. The consignments, by ship, through Turkey for the most part, included ex Soviet weaponry purchased in Bulgaria and other bastions of democracy and amounted to thousands of tons. I’m surprised that anyone still disputes the fact that that ISIS et al have been armed and financed either directly or with the complicity of the US government. The government barely denies the facts itself, though it does wrap them up in masses of propagandistic fluff, much of it related to Democratic Rebel forces etc. Of course Obama was not wholly responsible for creating ISIS, except in the sense that he proudly ensured continuity with the Bush regime (which in turn, and despite protestations to the contrary, maintained a great deal of continuity to the Clinton administration’s foreign policies). It is to Trump’s credit that, during the campaign, he ‘called’ Bush on the catastrophic consequences of the Iraq invasion and made the point that ISIS had its origins in the fateful decisions of Bremer and the court of neo-con clowns advising him. As to whether or not Assad is a dictator: is it any of our business? Aren’t most of the US’s allies dictators or the weak democratic successors to dictatorial regimes, supported by the US, which, often by employing death squads, cleared the political decks of socialist and radical nationalist leaders and skewed the economy Chicago fashion? One thing is well known about the Baathists in Syria: they never have persecuted religious minorities and have enjoyed the support of most of the sunni majority. One day there has to be a reckoning with the Saudis Royal Family which has been sponsoring terrorism in Arabia since the 1780s, protecting pirate havens and raiding mercantile cities on the spurious grounds that they are run by unbelievers. Or will K Street, well oiled with the wealth of the disenfranchised Arab people, always be able to shield them from the consequences of their actions? Which clearly include much of the blame for 9/11. There isn’t much about a Trump Presidency to look forward to but a cold hard look at the way in which wahhabism has used the US as a battering ram against secular, moderate and shia muslim regimes will make up for a lot of dirty talk in the locker room. I wish you or anyone else could supply actual evidence not beliefs and rumors to support your blanket claim that the US ever intentionally, directly or indirectly supplied anything to the IS, AQ or al Nusra. All three of these now separate groups were one in Iraq where they excelled at killing and maiming US troops, an excellent reason to believe we support and arm them. The fact that the US and the governments of the countries from where AQ received support were unable to stop its flow is not complicity. The US, the most powerful nation in history, can’t stop the flow of immigrants across its border nor can it stop the flow of weapons to the cartels to the south yet others are supposed to be able to do what we can’t. The world is awash with Russian and Chinese weapons and anyone with money can get them delivered. Every major world power has used terror to further its goals so it’s meaningless to single out the KSA as somehow different or unique. They are now taking the responsibility from the US to defend their interests from the encroachment of that secular, moderate and Shia Muslim regime across the Arabian/Persian Gulf, the Islamic Republic of Iran. The Assad family dynasty is part of the sectarian religious minority and represents them while persecuting the majority Sunni population, the other minorities were bought off or subjugated in other ways. If you think this is none of our business then the successful overthrow, by the majority population of Syria, of this dictator should also be none of our business. I have to ask how you can claim to know the majority Sunni population supports their dictator, oppressor and his police state? Is this some kind of Stockholm Syndrome on a mass scale or just your opinion based on the free and fair Syrian election results. Dictator elections used to produce about 90% favorable results but they have more clever PR advisors now and usually only produce the slightly more believable 75% positive results. This is useful for the useful idiots who support these regimes so they can show that opposition is allowed under this benevolent dictator although it is never allowed to win. (1) Enlighten us please, where has the US government used terror to further its goals? (2) You acknowledge that KSA uses terrorism. That the Saudis are our allies and we supply the arms they use to murder civilians in Yemen (direct terror outside Syria and cooperation with AQ) and to fund and arm IS, AQ and al Nusra (and others) in Syria means you have answered your own question about intentional indirect US support for IS, AQ and al Nusra. Res ipsa loquitur. Thanks for saving the rest of us the effort.